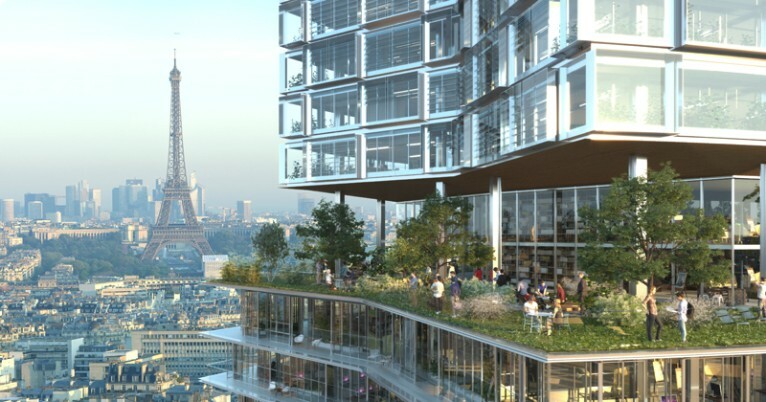 Following a co-­owners board meeting, Nouvelle AOM has been announced the winner of the architectural competition for The New Montparnasse Tower, opening a fresh new chapter in the history of the tower. Nouvelle Agence pour l’Opération Maine-Montparnasse (nAOM – nouvelle AOM) is a consortium of three Paris-­based firms that brings together a young generation of architects all born in the 1970s: Franklin Azzi, Frédéric Chartier, Pascale Dalix, Mathurin Hardel and Cyrille Le Bihan – all renowned for outstanding design projects. Ambitious project for a 21st century tower Launched in June 2016, the competition challenged bidders to create a powerful, dynamic and bold new identity for the Tour Montparnasse, while fully addressing all the challenges of the modern world regarding user accessibility, comfort and energy performance. The project submitted by Nouvelle AOM encompasses all of these goals. The firm's innovation-­driven concept anchors the Montparnasse Tower firmly in the new millennium. It will put the neighbourhood 'back on the map' and become an iconic symbol of the entire French capital. "This was a huge challenge, as the Tower isn't like any other," explained the co-owners who sat on the selection panel. "Nouvelle AOM's project perfectly captures the spirit of the 21st century, giving the Tower a multifaceted identity revolving around attractive, innovative new uses. 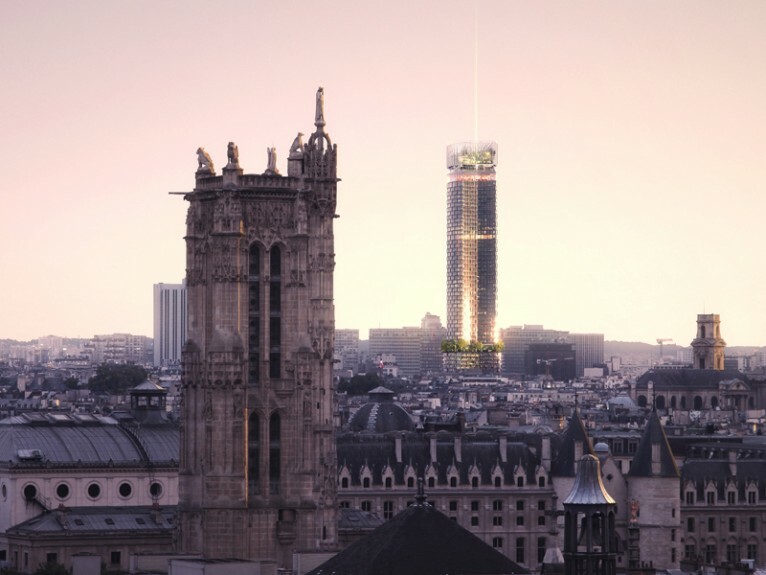 The Tower will breathe new life into the Montparnasse neighbourhood." "The City of Paris is delighted with this choice, which marks the beginning of a major transformation of both the Montparnasse Tower and the city itself. Nouvelle AOM's project is perfectly aligned with our architectural vision: resolutely focused on uses, kind to the environment and exemplary in terms of energy efficiency. The consortium's subtle architectural intent will allow the Tower to recapture the hearts of the people of Paris. Scheduled to be unveiled in time for the Olympic Games, the revamped tower will become an iconic landmark in Paris' modern cityscape – and it is already an immense source of pride," says Jean-Louis Missika, deputy mayor of Paris for urban planning, architecture, attractiveness, economic development and the Greater Paris (Grand Paris) initiatives. The redesign emphasizes the horizontal plane, putting an end to the Tower's vertical focus that left it isolated. The revamp also makes a shift from opacity to transparency, while compelling new uses will transform the Tower into a lively thriving place, giving it back to the people of Paris. "When we took up the challenge of this exciting competition, our focus was on revealing the beauty of the Tour Montparnasse from the inside out. We achieved this by incorporating radically new uses and crafting a complete sustainable 'green' makeover of the facade. The aim is to make the Tower an icon of the 21st century energy revolution," says the consortium. 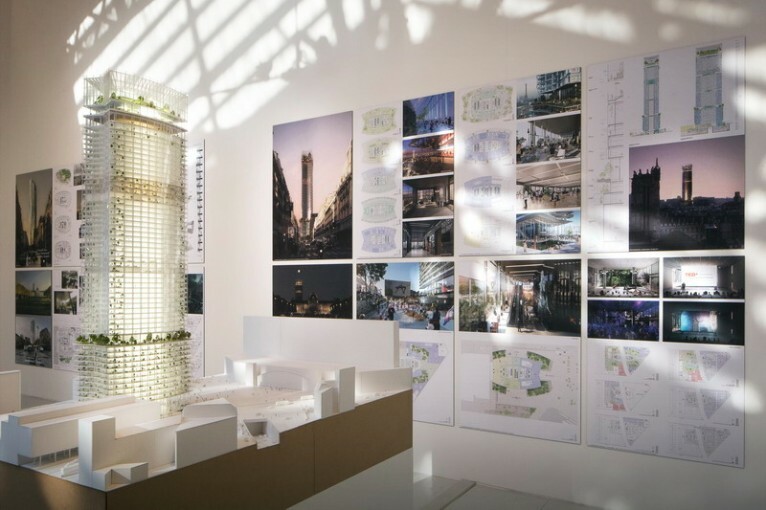 The announcement of the competition winner marks the opening of an exhibition at the Pavillon de l’Arsenal, the City of Paris centre for information, documentation and exhibitions relating to urban development and architecture, in the 4th arrondissement of Paris. Open to the public, the exhibition presents the seven projects shortlisted for the competition and showcases the winning design. Featuring large scale models, videos and a journey to the heart of the architectural thinking behind the different projects, the exhibition is intended for the people of Paris as well as visitors to the capital. [International architectural competition for the redesign of the Montparnasse Tower – Pavillon de l’Arsenal, 21 boulevard Morlan, 75004 Paris – 20 September to 22 October 2017. Free entrance]. 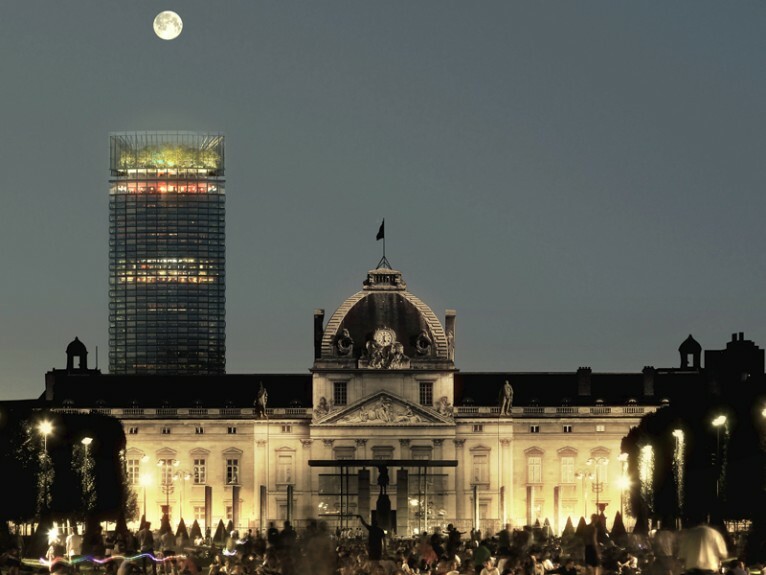 The €300 million-renovation, financed entirely by the tower's co-owners, is due to be completed by 2024, in time for the Paris Olympic Games. The metamorphosis of the Montparnasse Tower is poised to become a flagship of urban renewal and will undoubtedly spur a complete reinvention of the entire left-­bank neighbourhood.